How can its growth be stimulated further? The strengths and drivers of the Polish economy and the country’s Plan for Responsible Development. An address by Jerzy Kwieciński, Secretary of State, the Ministry of Development. Panel discussion attended by Jerzy Kwieciński and Andrzej Kaczmarek, president, PSE Inwestycje, Maks Kraczkowski, vicepresident, PKO Bank Polski, Jacek Levernes, president, ABSL (tbc), Dawid Lasek, undersecretary of state, Ministry of Sport and Toursim, Iwona Sroka, president, KDPW, Ireneusz Węgłowski, vicepresident, Orbis S.A. In what areas can Poland become a strong player in the near future? What kind of support can Polish enterprises expect to receive from the government and the Polish Development Fund? An address by Paweł Borys, president of the Polish Development Fund. Panel discussion attended by Paweł Borys and Marek Czerski, president, KUKE, Paweł Nierada, first vice-president, BGK, Sławomir Panasiuk, vice-president, KDPW, Tomasz Pisula, president, PAIiIZ/Invest in Poland, Krzysztof Soszyński, vicepresident, Inter Cars, Karol Zarajczyk, president, URSUS. An address by Gilles Clavie, president, Orbis S.A.
Panel discussion attended by Guenter Verheugen, Ryszard Czarnecki, Vice-President of the European Parliament, Bogusław Liberadzki, Member of the European Parliament, Wiesław Rozłucki, first president of the Warsaw Stock Exchange, 1991-2006, Paweł Wojciechowski, Chief Economist of the Social Insurance Institution ZUS. Focus group debates held between the plenary sessions. A panel discussion attended by Andrzej Kaczmarek, president, PSE Inwestycje, Konrad Pokutycki, president, BSH Sprzęt Gospodarstwa Domowego, Sławomir Pijanowski, president, POLRISK, Mirosław Proppe, Partner, Management Consulting, KPMG. Panel host: PSE Inwestycje S.A. Discussions attended by Żaneta Berus, president, EXPO XXI Warszawa, Monika Białkowska, director, Warszawska Organizacja Turystyczna, dr Krzysztof Celuch, Poland Convention Bureau, POT, Szkoła Główna Turystyki i Rekreacji, Krzysztof Cieślikowski, AWF Katowice, Luc Gesvret, director, Grupa Hotelowa ORBIS, Dawid Lasek, undersecretary of state, Ministry of Sport and Tourism, Tomasz Szczęsny, vicepresident, eTravel S.A., Mateusz Czerwiński, WCB, Radosław Dudziński, director, Lubelskie Centrum Konferencyjne, Mark Krawczyński, Kamil Szymański, president, CWK Jasionka, Beata Maly-Kaczanowska, vice-president, EXPO Mazury, Andrzej Kiercz, Targi Kielce S.A.
How to boost GDP growth at a low cost? What’s the difference between Polish meeting industry sector and those in Great Britain, France or Netherlands? Should we tolerate those key differences? Are we able to make up for them? What kind of tools we need in order to do it? Is Warszawa an island? Meeting industry infrastructure and conference & congress centers impact on economic growth of cities and regions. Cases, challenges, expectations. (2.30 p.m. – 3:15p.m. )Last few years Poland grew a number of new conference, congress and exhibition centers. Are they to many or else? What are the local, regional and countrywide consequences? Is the market mature enough for them to function? What are business perspectives for them? Obstacles and positive observations for the time being. What is the meeting industry future in Poland? A panel discussion by former finance ministers, attended by some of our guests from last year’s conference, including Mirosław Gronicki, Stanisław Kluza, Jerzy Osiatyński, Andrzej Raczko, Mateusz Szczurek. Discussion moderated by Paweł Wojciechowski. Close of conference proceedings: around 5pm. Areas of interests: meeting industry, adventure tourism, consumer behaviour on tourism market. Author of more than 100 publications in tourism and consumer behaviour. Meeting industry: Expertise in the business tourism analysis and an assessment of the impact of meeting industry on economy, the member of team in the project: Steering the meetings industry in Krakow: assessment and monitoring of the economic effect of the meetings industry on the economy of Krakow with the use of good practices from Switzerland, project financed by Switzerland, 2011-2013, participation in the project: Analysis of the cooperation of business tourism companies with suppliers of selected knowledge intensive business services (KIBS) in Krakow and perspectives of the development of that cooperation financed by National Science Centre DEC-2011/01/D/HS4/03983, some projects: MICE tourism in Krakow in 2008-2009 and MICE tourism in Krakow in 2010, 2011 and 2012 ordered by and prepared for Convention Bureau of Krakow Municipality; Tourism: Expertise in tourism demand analysis: editor of the book Business travel and tourism infrastructure( in Krakow), Foundation of Cracow University of Economics, Krakow; Expertise in social tourism, based on involvement in volunteer work for disabilities and underprivileged families, a paper: Tourism and social cohesion in Poland – selected aspects, prepared for the Conference of Experts in Tourism (Gremium Ekspertów), 2012, European Commission Project: OFF2013 – Seniors and families taking time in off-peak season through exchanges between Hungary and Poland (2013); SI2.ACGRACE053249900, the leader of the Polish team, Principal Investigator; Expertise in analysis of consumer behavior on tourism market- paper: Possiblities of meeting clients’ needs by ski resorts, „Ski resorts” 2009, nr 2, Consumer behavior as the basis for strategies of tourist enterprises, Prace Naukowe Uniwersytetu Ekonomicznego we Wrocławiu nr 50, 2009; Expertise in adventure tourism analysis, paper Value of remote arctic destinations for backcountry skiers, presented at international conference: Adventure Conference in Songdal, Norway, November 2014, published in “The Scandinavian Journal of Tourism and Hospitality”; Expertise in assessment of climate change influence on tourism – the leader of the project: Economic consequences of climate change for ski centres in Poland, prepared for EU and EFRD, 2010-2011; Expertise in assessment of big events organization on tourism, the leader of the project: An Influence of organization of Football European Championship EURO 2012 in Poland on tourism in Krakow, 2012. Member of the Board of Sapphire Group Poland. 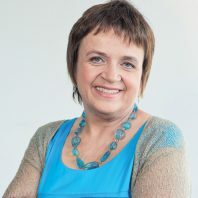 Żaneta Berus works in EXPO XXI Warszawa for 15 years. Firstly she held the position of Managing Director, which since 2010 she has combined with the function of CEO. In May 2015 she also joined the Board of the Sapphire Group Poland. 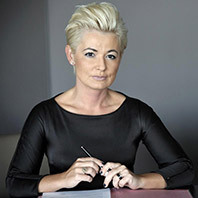 She has been gaining her work experience in the MICE industry since the early 90s, at the beginning working as the Chief Specialist in the Foreign Promotion Office of National Chamber of Commerce in Warsaw. Over the years 1996-2000 Żaneta Berus held the prestigious position of Commercial Consul at the Consulate General of Poland in Chicago and was responsible for the promotion of the Polish economy on the US market. 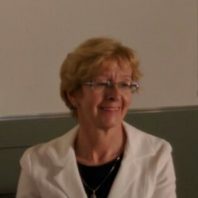 For her activities for the development of local government and contributions to the promotion of Polish economy, Żaneta Berus received in October 2013 a Silver Cross of Merit, the second highest state distinction, granted by President Bronisław Komorowski. In November 2015 for her services to the development of the meetings industry and the promotion of Poland abroad she also received the prize “For services to the development of tourism”, awarded by the Minister of Sport and Tourism. The meeting industry also appreciated her commitment. In 2012, she has received MP-12 award, as the manager of the venue in the category of Provider-Venue and a year later the EXPO XXI Warszawa was awarded the MP Power Awards 2013 – Power Venue in the category “Congress venue”. In January this year Żaneta Berus has been also awarded the title of “Personality of the Year 2014” in the category “Venue Manager”. 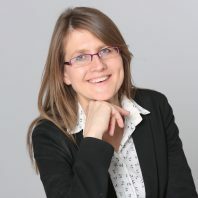 Monika Białkowska is a graduate of Marketing & Management at the Warsaw School of Economics. She has an experience in brand strategy, creation of visual identification, branding and advertisement. She was managing teams in known and esteemed branding agencies. She also worked for Ministry of Foreign Affairs in projects connected with Polish international promotion. Since 2013 Monika Białkowska is a Director of Warsaw Tourism Organization taking care of its development and engaging in promotional actions building image of Warsaw on the network and tourist (individual and business) map. Warsaw Tourism Organization is an association of a public – private character, a cooperation platform and integration of tourist network in Warsaw. Associations initiating member is the City of Warsaw. At present the organization has 64 members. 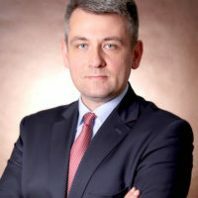 President of the Management Board of Polski Fundusz Rozwoju S.A.
Paweł Borys is a recognised Polish economist and manager, with rich and successful professional track record in banking, capital markets and insurance, who has worked for Polish and international financial institutions. He is an expert at investments, management, macroeconomic analysis, strategic and financial planning and business restructuring. He has experience as a manager of large teams and complex projects involving the development and implementation of growth strategies for businesses and financial institutions. He started his career as chief economist for the Erste Bank Group in Poland. Subsequently employed as a funds manager and head for investment within investment funds with the Deutsche Bank Group, the second-largest asset management company in the world. He was also involved in the development of a Polish private equity and venture capital business as President of the Management Board of AKJ Investment TFI. 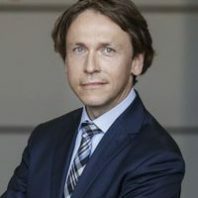 In 2010-2016 Pawel Borys was the managing director at PKO Bank Polski, responsible for economic analysis, group strategy and development, and investor relations. 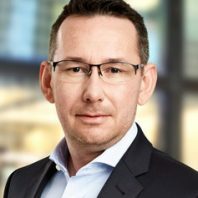 He has a broad network of contacts with international investors and financial institutions and a wealth of corporate experience from sitting on a dozen or so supervisory boards in Poland and abroad. He is a two-times winner of the award for best fund investment performance on the Polish market. He was listed as one of Poland’s top-forty managers. 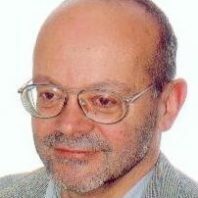 His professional work was supplemented by theoretical studies in finance, banking and economics during his time as an employee of the Warsaw School of Economics (SGH) in 2001-2005, where he conducted research in economic convergence theory and dependence between the financial sector and economic growth. Author of a number of press publications and articles on banking, investments, capital market and the economy. Well-versed in English and German. Passed the exam for supervisory board members of State Treasury-owned companies. Married and a father of three. Krzysztof joined the meetings industry as a tour leader for a number of DMCs in 2000. As a journalist over a period of six years he published more than 100 articles about the meetings and events industry. Krzysztof graduated from Academy of Physical Education (M.A.) and got Ph.D. in political science from Warsaw University. Besides his active role in MPI Poland Club (President 2009-2011) and as international volunteer in MPI International Board of Directors (2012-2015), he is a vice-rector at Warsaw School of Tourism and Hospitality Management (Vistula University Group). 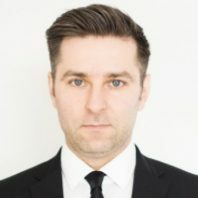 He organizes a student conference: IMEX-MPI-MCI Future Leaders Forum Warsaw and he serves as a jury chairman for MICE Poland Personality of the Year competition and Meeting Planner Power Award. He is a visiting professor at San Diego State University and Warsaw University. Krzysztof has spoken at numerous events including seminars at EIBTM, IMEX and international conferences of different industry associations (Site, ICCA, MPI). Since 2006 he has been working in destination marketing. Currently he is the head of Poland Convention Bureau, which is a part of the Polish Tourist Organization. Each year he launches a Poland Meetings and Events Report on current and future developments in the meetings industry in his country. In 2007 and 2008 he was nominated as one of The Meeting Professional Magazine’s “30 people under 30” age currently making an impact on the global meetings community”. He is an MPI Global Training and Certified Incentive Specialist (CIS) accredited trainer and CSR Travelife trainer; he has the designation Certificate of Incentive and Travel Executive (CITE); Certificate Meetings Management (CMM) and Certified Incentive Specialist (CIS); he achieved the MPI RISE AWARD for Young Professional Achievement 2010, in 2012 Pacesetter Award for Young Professionals by Convention Industry Council and in 2013 named as future leader in the destination marketing in DMAI’s 30 Under 30 Program. Gilles Clavie, 47, devoted his entire professional career to corporate finance up till 2014. He started in 1993 as Consolidation and Group Financial Reporting Manager in Eridania Beghin-Say, an agro-industrial company. In 2001, he joined the Accor Group in Paris as EMEA Reporting Director for the business and leisure hotel segment. He held the position of a Financial Controller in the Accor Group in the years 2004 through 2010. Gilles Clavie joined Orbis S.A. as a member of the Company’s Executive Committee in January 2011. He was responsible for strategy, management control, IT systems implementation and asset management. Gilles Clavie headed the Property Management Committee which concentrated on in-depth analysis of various investment projects involving development, construction and maintenance. He was appointed President of the Management Board & CEO of Orbis S.A. in 2014. He was leading the architects team of the historical acquisition by Orbis S.A. of Accor hotel portfolio in Eastern Europe in 2015, thanks to which Orbis significantly increased its operational scale and entered a new development phase. Currently (December 2016), the Orbis Hotel Group comprises 117 hotels (20 000 rooms) in 9 countries of Eastern Europe. Orbis became an international hotel group, which is constantly expanding its network and strengthens its leading position in the region. Former Minister of the European Affairs, Member of the European Parliament. Born in the UK, graduate from University of Wroclaw, where he received master degree in history. Former Minister of the European Affairs, Minister without Portfolio and former Deputy Minister of Culture and Arts. Since 2004 he is a member of the European Parliament. Vice-President of the Euronest Parliamentary Assembly, as well as interparliamentary forum with national parliaments of Ukraine, Moldova, Belarus, Armenia, Azerbaijan and Georgia. Coordinator in Committee on Budget Control (CONT), member of the Foreign Affairs (AFET) committee in the EP and the Delegation EU – Ukraine. In addition, Vice-President Ryszard Czarnecki is a member of the Delegation DCAS to the EU – Kazakhstan, EU – Kyrgyzstan, the EU – Uzbekistan and the EU – Tajikistan and the Commission to corporations of parliamentary relations between Turkmenistan and Mongolia. He was awarded high state awards by Ukraine, Georgia and Armenia. He holds a Doctor Honoris Causa of the University in Erevan. Author of 6 books. President of the Management Board, KUKE S.A.
a highly qualified manager and an expert in the field of insurance, reinsurance, finance and management. Marek Czerski has an extensive professional experience on the financial market. 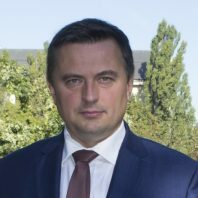 Recently he held the position of President of the Management Board and Vice-Chairman of the Supervisory Board at TUW TUZ mutual insurance company and at TUiR Partner S.A. From 2006 to 2013 he worked as President at Polskie Towarzystwo Reasekuracji S.A. (Polish Re), where he successfully rebuild the company’s market position and concluded a process of privatization, in times of the global financial crisis, by bringing in an investor from the insurance business. He also transformed Polish Re into a recognizable, international brand. During this time he served as Member and Vice-Chairman of the Supervisory Board at Polskie Towarzystwo Ubezpieczeń S.A. From 2009 to 2013 and in 2015 was a Member of the Audit Committee at the Polish Insurance Association. Prior to that (2004-2006), he worked at TUiR Warta S.A. as Director of the Reinsurance Department, and later as Director of the Reinsurance, Marine and Aviation Department. 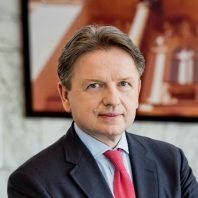 From 1997 to 2004 Marek Czerski held managerial positions at Swiss Re Poland, Swiss Re Company and Swiss Re Germany, where he was responsible for representing the Swiss Re Group in Poland, and subsequently also in other Central and Eastern European countries. Marek Czerski is a graduate of the Silesian University of Technology. In 2013 he commenced a Doctoral (PhD) Program in Insurance at the Warsaw School of Economics. He began his work in the field of the meetings industry in 2008 as a project manager in the MICE agencies implementing outgoing and incoming projects. In the ongoing events, as one of the first in Poland he implemented the sustainable meeting standard BS 8901 solutions, being responsible for the preparation and implementation of the management system of the Radisson Blu Kraków Hotel on the basis of BS 8901. The facility as the first in the world has been certified by an international company certifying sustainable activities in the meetings industry. Since 2010 at the Warsaw Convention Bureau (Warsaw Tourist Office), he is responsible for the planning and implementation of marketing activities of Warsaw as a destination of meetings, contacts with foreign clients, supervision of the local MICE market researches and cooperation with the scientific community in Warsaw under the ambassador’s congresses. He represented Warsaw as the Tourism Expert in the ONE BSR EU project, under which the international group of collaborators was preparing travel products and strategy for their promotion in the United States and Japan. After changing his position at the Warsaw Convention Bureau into Warsaw Tourism Organization structures, he is responsible, among others, for the acquisition for Warsaw and coordination MCE CEE Warsaw 2015, the first ever Polish international meetings industry B2B event, which was visited by a large group of foreign hosted buyers (meeting planners 80). 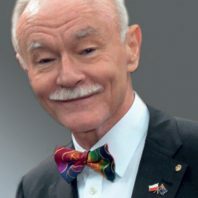 Since June 2018 he is the Vice-President of Warsaw Tourism Organization. President of the European Centre for Integration and Self-Government Cooperation “House of Europe”. In 2012-2014, coordinated the updating of Regional Innovation Strategy of Lublin 2014-2020. Earlier, the head of European projects. Graduate of European Studies of the Jagiellonian University and postgraduate studies in economics and companies’ management at the University of Economics in Cracow. European economics correspondent for The New York Times since January 2010. 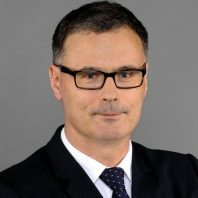 Previously worked as Frankfurt bureau chief and European regional editor for BusinessWeek magazine, which he joined in 1999 from Bloomberg News where he had been a reporter and editor in the Frankfurt bureau. 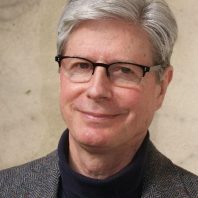 Before moving to Germany in 1994, Ewing was a reporter for the Hartford Courant, Hartford, Connecticut. Holds a master’s degree in history from Trinity College in Hartford, Conn. Bachelor’s degree from Hampshire College, Amherst, Mass. Author of forthcoming book on the Volkswagen scandal to be published by W.W. Norton. 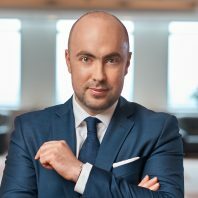 In charge of Sales, Distribution Marketing, RM and Loyalty in Eastern Europe and Russia, Georgia, Ukraine and CIS, Orbis S.A.
His operational experience and the good knowledge of the commercial field allowed him to develop and maximize Sales and TOP LINE for in and out band markets. Luc implemented and developed the loyalty program, and created strategic alliances with other companies. He led the implementation of the new technologies and digital plan in several Eastern Europe countries. 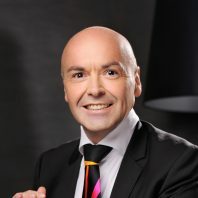 Luc Gesvret joined the Accor Group in 1989, had several positions in many countries in several ACCORHOTELS products such as ibis, Novotel, Mercure, Sofitel, MGallery and therefore developed extended international experience. Economist, PhD in economics, Minister of Finance in Marek Belka’s government. He graduated from the Faculty of Transport Economics at the University of Gdansk. In 1987-1993, he worked in international academic institutions, including, among others, the University of Pennsylvania in Philadelphia, Charles University in Prague and ICESAD in Kitakyushu. He has worked in international organisations, including the World Bank, the UN and the EU. Until 1998, he was employed as a macroeconomist at the Institute for Market Economics. In 1999-2004, he worked with the Center for Social and Economic Research. He has been an advisor for the governments of Bulgaria, Turkmenistan and Slovakia. 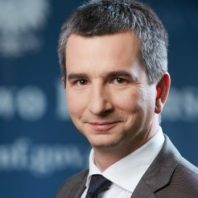 In 2000-2004, he was chief economist at Bank Millennium S.A., and in 2004-2005, he held the office of Minister of Finance in the government of Marek Belka. From 2012 to 2014, he headed the team of advisors of the President of the Krajowy Fundusz Poręczeniowy „Samorządowa Polska” sp. z o.o. He is currently an independent consultant. Founder and Editor-in-Chief of The Warsaw Voice magazine. Co-founder of the Children of the Holocaust Association in Poland. 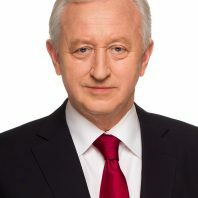 Former Vice-President of the Association of Polish Journalists, former head of the Polish section of the Association of European Journalists; former Vice-President of the Association of European Journalists. Press and television commentator, recipient of the Bene Merito award. Manager with experience in the field of economic self-government, diplomacy, public administration and business. Previously Vice President of The Polish Foreign Investment Agency, Counsellor of the Polish Embassy in Canada, Undersecretary of State at the Ministry of Economy, Director at KPMG Advisory. 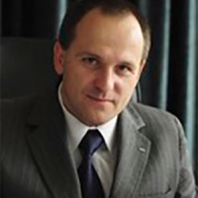 Congress Centre's Director, Targi Kielce S.A.
Mr. Kiercz graduated from Kielce University of Technology, his previous professional experience in the tourism sector includes, inter alia, employment in a tourist-transfer operator, hotel management, Świętokrzyskie Tour Guide services. Since 2000 Mr. Kiercz has been professionally associated with the exhibition and conference industry; the international air show Airshow in Radom (first editions) is one of the major projects co-organized by Mr. Kiercz. Since 2006 Mr Kiercz has worked at Targi Kielce, ranked second among all Central and Eastern Europe’s the trade fair and expo centres. Not only has Mr. Kiercz been a co-originator but also the manager and supervisor of numerous expo projects, including: cycling trade-show cycle – Kielce BIKE-EXPO, sports business sector exhibition – KIELCE SPORT-EXPO, road engineering expo – AUTOSTRADA-POLSKA, the airport infrastructure conference and exhibition – TIL, environment protection and waste management exhibition – EKOTECH and many others. Managing the Targi Kielce’s Congress Centre has opened a new challenge on Mr. Kiercz’s career path. 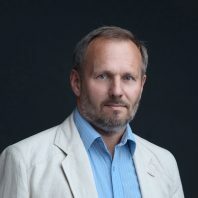 Historian by education and journalist by profession, with a postgraduate degree from Warsaw University (1982), since 1993 has been General Director of the Warsaw Voice publishing house. Kłosowski is also director of the Warsaw Economic Hub and Poland Meetings Destination conferencing projects. He graduated from the Faculty of Law and Administration, University of Warsaw. Member of Parliament of the Republic of Poland in V, VI, VII, VIII Terms. He has gained proficient expertise in economic issues nationally and internationally, including relationships with businessmen. Chair of Rotary International Service Committee for District 2230 and Rotary International Convention Promotion Committee for Seoul, Atlanta and Warsaw. Chartered Architect, Artist, Pianist, Director of the company Carshade Australia Pty Ltd, Marketing Consultant, Project Manager, Motivational Speaker & Lecturer, President of the foundation “The Future for Poland”, Member of the Board of Rotary Warsaw City Club, NSW Board of Architects in Australia and the Polish Architects Institute. Paul Harris Fellow, Chair of RI International Service Committee for District 2230 and RI Convention Promotion Committee for Seoul, Atlanta and Warsaw. Project Principal for EFT designs and ecology cluster-building principles. Chair of Energy Advisory Committee for Environmental Sustainability Rotary Action Group in the USA. He was born in 1948 in Warsaw, son of Zbigniew Krawczynski – an architect and co-author of Warsaw’s Old Town reconstruction after its destruction during World War II. In 1959 he had to leave Poland and travel with his parents to Australia where he lived for 47 years. He graduated with honours from the Conservatorium of Music in Sydney (piano recitals and concerts on Australian TV). He next followed in his father’s footsteps and graduated with distinction from the Architecture Department of the University of NSW in 1973. Within the following years he received many additional qualifications and awards and also became registered as a Chartered Architect. He has in his portfolio more than 80 public and private architectural projects, including the award winning additions to the Australian Museum and the reconstruction of the Sydney Opera House (works costing $1 bln in today’s value, on which he was also Construction Manager) which included the building of 3 new floors underwater. He has received many awards and prizes. In 2004 he travelled back to Poland with a drawing (a huge hand-crafted panorama) of the Old Town created in 1952 by his father Zbigniew Krawczynski, in order to immortalise the achievements of Warsaw architects after the World War II. For the last 12 years Mark Krawczynski has promoted Polish and Australian culture, organised exhibitions and developed business and artistic cooperation between Poland and the rest of the world. In 2006 Mark engaged himself in organising a special exhibition under the title of „Eagles in the Land of Kangaroos” and dealing with Polish Immigration to Australia. He has travelled over 45 years to 55 countries and sovereign states on 5 continents to study infrastructure and urban solutions. He presented lectures in many of these locations. He was voted best speaker at a TEDx International Conference in Warsaw in 2010. He also recently co-produced a short Australian film about Chopin in 4 languages. Later in 2011 he completed a 47 minute documentary film, with Australian producer Peter Beveridge and British actor Simon Callow as commentator, about the rebuilding of Warsaw called “Out of the Ashes”. This is a romantic documentary film about Warsaw and the spirit of the Polish people who built the greatest architectural project in the history of the world, when they re-built the whole city of Warsaw after WWII (the rebuilding of the Historical Old Centre itself was given the highest rating on UNESCO’s World Heritage List). The whole city, including over 15,000 buildings, was totally devastated during WWII, which was a disaster almost 4 times larger than Hiroshima. This rebuilding project is a modern miracle of positive energy and teamwork. Mark Krawczynski has already personally presented the film in over 100 locations around the world. Each time it was received with wonderful enthusiasm as a truly inspirational creation. It helps to create international understanding and cultural appreciation. On 20 November 2015, he was appointed Secretary of State in the Ministry of Economic Development. In 2005-2008, he served as deputy minister of regional development. He was directly responsible for the coordination of the national development policy and the cohesion policy (National Development Strategy 2007-2015 and National Cohesion Strategy 2007-2013) and for negotiations with the European Commission. He participated in the preparation of operational programmes. 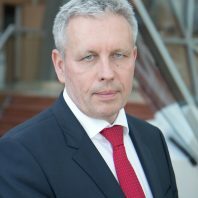 Since May 2008, he has been chairman of the European Center for Enterprise and vice-president of Europejskiego Centrum Przedsiębiorczości sp. z o.o. He is also the BCC expert for regional development and structural funds. He has also advised on World Bank reporting. He graduated and obtained a PhD from the Faculty of Materials Science and Engineering of the Warsaw University of Technology. In 1996, he completed an MBA. He has also completed Postgraduate Studies for Managers at the Warsaw School of Economics. He worked as a university teacher and researcher at the Faculty of Materials Science and Engineering of Warsaw University of Technology, and he lead research and development projects for industry. In 1993-2004, he worked at the European Commission Representation in Poland. He is the chairman of the Convention at the Maria Curie-Sklodowska University in Lublin. In 2015, he was a member of the National Development Council appointed by the President of the Republic of Poland. Graduated from the Faculty of Law and Administration and the Faculty of Management and Social Communication of the Jagiellonian University in Kraków. He worked as a Science Secretary of the Polish-French European Studies, University of Paris 13, IUT de Saint Denis. Since 2001, his professional career has been connected primarily with the Carpathian Euroregion. He was the Bureau Director and the manager of crossborder projects and since 2007 – the Vice-President. Starting from 2012, he has been the member of the Management Board of the Association of the Carpathian Euroregion Poland. He was an expert in numerous initiatives and he also managed many international projects. He has extensive experience working with Swiss partners. Within the Swiss-Polish Cooperation Programme he developed and implemented the Carpathian brand “Carpathia”. He was also a member of the Working Group on Sustainable Tourism of the Carpathian Convention. In 2006-2007, he served as the Director of the Department of Regional Cooperation at the Ministry of Regional Development. He speaks five foreign languages: English, French, Russian, Slovak and Ukrainian. 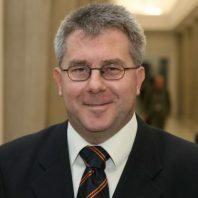 Bogusław Liberadzki has been a Member of the European Parliament (MEP) since May 1, 2004. He sits on the parliament’s Committee on Transport and Tourism and is deputy chairman of the Committee on Budgetary Control. Since January 2012, he has been a member of the European Parliament’s Bureau and of the parliament’s College of Quaestors. 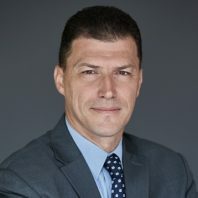 Liberadzki is also a member of the European Parliament’s Delegation for Relations with Japan and a substitute member of the Delegation for Relations with the Arab Peninsula. 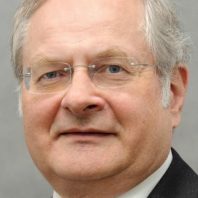 In 2008, he was voted the MEP of the Year in recognition of his active role in transport policy. In 2012, he was reelected a member of the Presidency of the Party of European Socialists (PES). That same year, he was elected vice-chairman of Poland’s Democratic Left Alliance (SLD) party. Liberadzki has received a number of honors in Poland, including the Medal of the Commission of National Education and the Gold and Silver Crosses of Merit. He specializes in the economics of transport, transportation policies and European transportation systems. 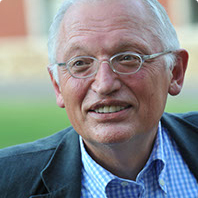 He has authored and co-authored a number of research papers, books and other publications in Poland and abroad, including Uwarunkowania rozwoju systemu transportowego Polski (The Determinants of the Polish Transportation System’s Development), Liberalizacja i deregulacja transportu w Unii Europejskiej (The Liberalization and Deregulation of Transportation in the EU), Transport- popyt, podaż, równowaga (Transportation: Demand, Supply and Sustainability), and Ekonomiczne problemy funkcjonowania transportu w USA i wnioski dla systemu transportowego Polski (The Economic Problems of Transportation in the United States and Implications for Poland’s Transport System). Vice President, Expo Mazury S.A.
Beata Maly-Kaczanowska has several years of experience working in the media, mainly in press, as well as the experience in creating from scratch complex media projects; for many years responsible for marketing and PR in public institutions and private companies. 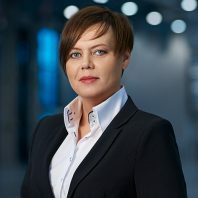 Held executive-level positions for nearly 15 years of her career, for 14 years works for Mirbud Capital Group, since 2015 holds the position of Vice President of Expo Mazury S.A.
Paweł Nierada is a graduate of the Warsaw School of Economics (Faculty of Finance and Banking), MBA University of Minnesota, Carlson School of Management. He participated in a number of specialised courses on venture capital, corporate finance, M&A and capital markets. He has got a long experience in investment banking and capital markets industry. He carried out numerous projects in the area of public and private markets (IPOs, bond and share issues, market analysis), M&A, strategic advice to large corporate entities as well as advice on privatisation (to the Ministry of Treasury and investors) in Poland and abroad. 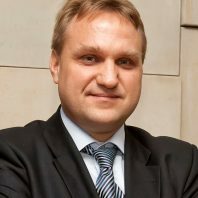 He is an expert on energy as well as energy strategy and security of the Sobieski Institute in Warsaw. Over the period 2007-2016 he was the Managing Partner at Rada Partners – a consulting firm in the field of strategic advice, capital markets and holistic approach to company management. In the years 2007-2012 he was the President of the Management Board of Silkroute Securities (Polska) Sp. 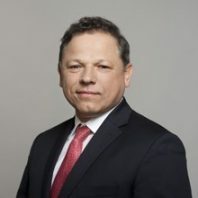 z o.o., 2006-2007 – director at ERSTE Corporate Finance in Poland – ERSTE Bank Group, 2003-2006 – director of the Financial Advisory Team at Deloitte, 2000-2003 he held a managerial position at NM Rothschild Polska Sp. z o.o., 1997-2000 he was Senior Analyst in Natural Resources and Global Power Team at Credit Suisse First Boston (Europe). He was a speaker at numerous conferences in Poland and abroad and provided commentaries on capital markets as well as fuel and energy sector for the media. He has got a status of Approved Person awarded by the British Financial Conduct Authority. Born in Riga on 2 November 1941. Graduated from the Warsaw School of Economics (at that time: Main School of Planning and Statistics) in 1964, and in 1989 received the title of Professor of Economic Sciences. 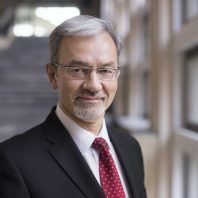 Chairman of the Scientific Council of the Institute of Economic Sciences of the Polish Academy of Sciences (2007-2013) and member of the Committee on Economic Sciences of the Polish Academy of Sciences (2007-2011); member of NBP Economic Research Committee (since 2009); from January to April 2010, member of the National Development Council of the President of the Republic of Poland and from October 2010 to December 2013, social adviser to the President of the Republic of Poland. 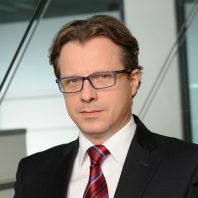 Since 2001, Professor at the Bielsko-Biała School of Finances and Law. He is author of academic textbooks and scientific dissertations in the field of economic theory, public finance, history of economic thought of the 20th century and economic transformation from centrally planned to market economy. Minister – director of the Central Planning Office (1989-1991); minister of finance (1992-1993). In 1995-2008, consultant of the World Bank, United Nations Development Programme and other international and non-government organisations in the area of economic transformation, notably in Central and Eastern Europe and the Commonwealth of Independent States. Since 2001, member of the Prime Minister’s Council of Socio-Economic Strategy and its vice-chairman in 2004-2006.Member of Parliament of the tenth, first, second and third term. He was member of parlia-mentary commissions and sub- committees dealing with public finance, European integration, public control, audit and economic policy.In 1990 he was awarded Doctor Honoris Causa of New York University. In 1993 – elected the best minister of finance in Central and Eastern European countries. 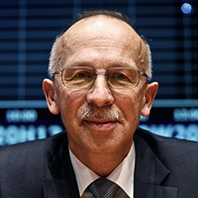 On 20 December 2013, the President of the Republic of Poland appointed Professor Jerzy Osiatyński as a member of the Monetary Policy Council. 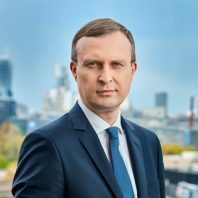 Sławomir Panasiuk – Deputy President of the Management Board of two key infrastructure institutions in the Polish capital market: the central securities depository (KDPW) and the CCP clearing house (KDPW_CCP). Graduate of the Cybernetics Department, major in operation of computer systems; post-graduate studies in IT at the Military University of Technology; and a post-graduate PhD course in Management Science at the College of Management and Finance of the Warsaw School of Economics. Since 1999, he has been working in KDPW in several positions, including Head of the IT Application System Team, Director of the IT Department, and General Director for Technology. In 2006, he was appointed to the Management Board of KDPW. As a Member of the Management Board, he participated in all the major business projects of KDPW. He co-ordinated the implementation of the depository-settlement system kdpw_stream, an unprecedented IT project in the Polish market in terms of the number of involved partners. Since 30 June 2009, he is Deputy President of the Management Board responsible for Operations, Technology and Corporate Security. He is Deputy Chairman of the Supervisory Board of Centrum Giełdowe S.A. and Chairman of the WIBOR Council. He graduated from the Faculty of Management of the Poznań University of Economics, specialty: Capital Investments and Financial Strategies of Enterprises. Co-author of one of the first European textbooks combining CSR with risk management integrated into enterprise strategy titled “Risk Management in the Sustainable Development Process”, developed for the Ministry of the Economy under the auspices of the Polish Institute of Directors and POLRISK. He initiated and completed the adoption and approval process for the first Polish standard in the field of holistic risk management, PN-ISO 31000:2012 Risk Management — Principles And Guidelines. Co-author of FERMA RIMAP body of knowledge for new professional certificate of European risk managers and Chairman of POLRISK Academy. He has long-term experience in telecommunication, banking, insurance industries in the area of enterprise & operational risk management, strategic & regulatory projects, business continuity management including critical infrastructure, IT security, banking and business systems implementations. Author of a number of articles, workshops and trainings in the area of risk management for top management of non-financial industries and specialists from certification bodies. 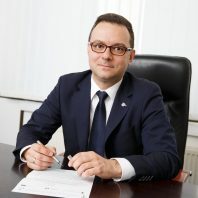 Before being appointed as president of PAIH S.A., Tomasz Pisula was responsible for ownership supervision on behalf of the Ministry of Development for over a hundred subordinate entities, including special economic zones, departments of trade and investment at Polish embassies, scientific and research institutes, the Polish Agency for Enterprise Development, the Industrial Development Agency, the Polish Development Fund, the Polish Information and Foreign Investment Agency, PKO BP, the Office of Technical Inspection, and the Public Procurement Office. The total value of assets in subordinate entities supervised by the Department exceeded 300 billion PLN. bHe was also involved, on behalf of the Ministry of Development, in the establishment of the Polish Development Fund and the associated reform of the WPHI personnel system from the very beginning. Prior to working with the Ministry of Development, Tomasz Pisula was also the Public Policy manager at Bank Zachodni WBK, where he led a team monitoring regulatory changes and building relationships with the institutions forming them. He was also involved in creating analyses and positions concerning regulatory issues for the management of the Santander Group. In the years 2006-2014, he was part of the Freedom and Democracy Foundation, one of the largest Polish non-governmental organisations dealing with issues of human rights and democracy. As president of the Foundation, he was responsible for the acquisition and disbursement of foreign funds for the needs of the foreign Polish Television channel Belsat TV. He acquired a total amount of over $12 million for initiatives related to the promotion of democracy by establishing cooperation with a number of leading international development agencies. Mr Pisula has implemented technical assistance projects in a number of authoritarian and former communist states, including Cuba, Belarus, Ukraine, Russia, Azerbaijan, and Egypt. He has appeared many times as a democracy expert before team working groups of the Polish parliament and worked closely with Polish and foreign media. In the years 1998-2003, he worked with Senator Zbigniew Romaszewski in the Foundation for Human Rights, where he was responsible for the Senator’s foreign contacts. CEO of BSH in Poland, at BSH Sprzęt Gospodarstwa Domowego Sp. z o.o. 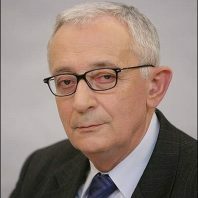 A trained economist and graduate of Łódź University. Following his graduation, he lectured for several years in the Department of Accounting at his alma mater, as well as at a number of business schools and the Association of Accountants in Poland. He co-authored a Polish-German-English dictionary for accounting and banking terms. A consultant in financial management, tax consultancy, and information systems in consulting companies. In 2003, he was awarded the title of statutory expert auditor. Deputy Chairman of the ElektroEko Organizacja Odzysku Sprzętu Elektrycznego i Elektronicznego SA [ElektroEko organisation for electrical and electronic equipment recycling, a joint stock company] Supervisory Board, and member of the Zelmer S.A. Supervisory Board. By virtue of a unanimous election, he served two terms of office between 2010 and 2014 – on a pro publico bono basis – as the President of CECED Polska – the European Association of Manufacturers of Household Appliances. In 2015, he was awarded the prestigious Vector 2014 award from the Employers of the Republic of Poland for his special contribution to the development of the industry of household appliance manufacturers, as well as for his innovative ideas and solutions that are consistently being implemented at BSH Sprzęt Gospodarstwa Domowego Sp. z o.o. 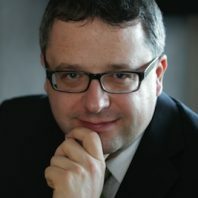 For several years Mirosław has been developing advisory services to government administration, supporting it in the process of computerization, project management and risk management. His clients include: The Chancellery of the President of the Republic of Poland, Ministry of Finance, Ministry of Digitization, Social Insurance Institution. He works for the local governments, where he supports them in the area of social policy (active forms of counteracting unemployment, social policy at the local level). Mirosław also runs infrastructure projects relating to urban regeneration, development of urban studies and approach to the management and coordination of projects in the city. His clients include local self-governments and municipal councils. In the area of support to the infrastructure sector, he is specialized in projects relating to water management. He was in charge of projects such as computerization of the natural hazards management area, developing flood risk management plans and updating river basin management plans. In the energy field, Miroslaw Proppé promotes planning approach based on multi-dimensional prioritization of investments and project management based on the unique methodology of KPMG – Major Projects Advisory. His clients include: National Water Management Authority, the Institute of Meteorology and Water Management, PP National Forests and waterworks companies. In terms of energy, he promotes good practices asset management and production based on standard PAS55 / ISO 5500x. It involves optimizing the use of assets and expenditures on the property in order to rationalize expenditure while maintaining required levels of operational safety and the risk of unavailability. He participated in many projects related to computerization of company various areas in the energy sector. His clients include the biggest energy companies operating in Poland. Dr Andrzej Raczko was born on 27 February 1953 in Kutno. In 1977, he graduated from the University of Łódź specialising in Econometrics. In 1985, he obtained his PhD in Economics and then worked as an assistant professor at the University of Łódź. He collaborated with academic centres in the United Kingdom, France and Central European countries within the framework of EU research projects. Since the 1990s he has worked in the banking sector, among others in LG Petro Bank SA, where he was CEO. In 1999-2001, working in PKO BP, he was in charge of the mortgage bank project, and in 2003 he was Vice-President of Bank Gospodarki Żywnościowej SA. In 2001-2002, Dr Raczko was undersecretary of state in the Ministry of Finance. His responsibilities covered public debt management, financial negotiations with the European Union and co-operation with international financial institutions. Minister of Finance in the final stage of Poland’s accession to the European Union (2003-2004). 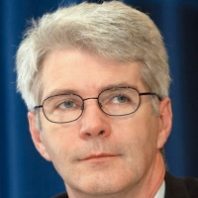 After 2004 Dr Raczko served as Alternate Executive Director and subsequently as visiting scholar in the International Monetary Fund. He was also Chief Economist and Director of Research Department in the Polish Financial Supervision Authority. Graduate of the Foreign Trade Department, Warsaw School of Economics, 1970. PhD in Economic Geography. In 1979-1980, on a British Council scholarship at the London School of Economics. In 1990-1991, he was an advisor to the Minister of Finance and later Department Director at the Ministry of Privatisation. In 1991-2006, President of the Management Board of the Warsaw Stock Exchange. Member and Chairman of the Supervisory Board of the National Depository of Securities (KDPW, in 1994-2006). Member of the Executive Board of the Federation of European Securities Exchanges (FESE) and of the Working Committee of the World Federation of Exchanges (WFE, in 1994-2006). 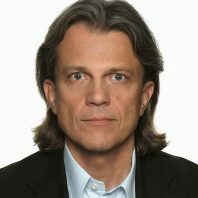 Currently Chairman of the Programmatic Board of the Polish Institute of Directors and Member of the Best Practice Committee founded in 2001. Member of the Supervisory Boards of public companies including: Bank BPH, Telekomunikacja Polska, TVN. Advisor to the investment bank Rothschild and the private equity fund Warburg Pincus International. Since 2011, Chairman of the Jury of the Economic Award of the President of Poland. Awarded with the Commander?s Cross with Star of the Order of Polonia Restituta and the French L’Ordre National du Merite. Vice-chairman of the Commission Council for SME in Chamber of Commerce and Industry in Katowice, panel leader and expert during European Congress of Small and Medium Sized Enterprises, Corporate Governance Expert, auditor, President of the Board at NadzórKorporacyjny.pl Sp. z o.o., the initiator of the „ Supervisory Board Conference” and „Man of the Corporate Governance” award. Dionizy has many years of experience in providing advisory services to public sector institutions. He specializes in strategic development, innovation, entrepreneurship development, economic marketing advisory, and public institution management optimization services. Dionizy is the co-author of PwC reports on Polish cities 2015, which were prepared to determine the development capital of those cities. 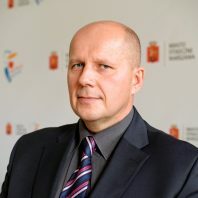 He is also responsible for the project for the Łódzkie Voivodeship Local Government entitled Development of Sector Policies for the Łódzkie Voivodeship, aimed – among other things – at determining (according to the so-called “entrepreneurial discovery” formula) the trends for developing key industries (strategy, action plan), determining the relationships between science and business, including the identification of so-called smart specializations (meeting points between key technologies and the voivodeship’s priority industries). In the years 2014–2015 he managed an organizational enhancement project for the Office of the Prime Minister, from which 105 government administration offices benefited. He also organized the completion of a comprehensive economic marketing project for the Self-Government of the Lubelskie Voivodeship, which was aimed at acquiring investors and supporting exports of businesses from the Lubelskie Voivodeship. Dionizy gained experience working in public administration work as an appointed civil servant. Among other things, he worked as deputy department director with the Ministry of the Economy and in the Ministry of Regional Development, where he was responsible, among other things, for the Integrated Development Operational Programme (IROP). Dionizy graduated from the National School of Public Administration and the University of Warsaw. Vice President for Customer Service of eTravel S.A.
Tomasz Szczęsny is a graduate of Domestic Trade at the Warsaw School of Economics and Vice President for Customer Service of eTravel SA. As a specialist in the optimization of the professional Business Travel Management processes, he co-creates the success of e-Travel in the delivery and optimization of business travel. He is Responsible for the operational area, management and support of more than 150 specialists dedicated to travel and meetings management for business customers. 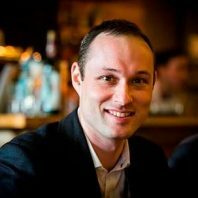 Since 2007, with a eTravel team, He develops CTA 2.0 (Corporate Travel Assistant) – original platform used to self-management of business travel. CTA is currently the most popular and most trusted by companies booking platform on the market. 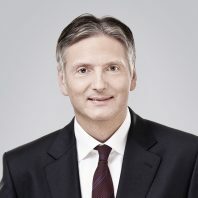 Member of the European Fiscal Board (Since Oct. 2016). Evaluating the implementation of EU fiscal rules, advising the European Commission on the fiscal stance appropriate for the euro area as a whole and cooperating with Member States’ national fiscal councils. Upon request, also providing ad-hoc advice on fiscal policy matters to the Commission. Lead Regional Economist EBRD (Since October 2016) Leading EBRD’s assessment of macroeconomic developments, monitoring of structural reforms and policy dialogue in the Central Europe and the Baltics region. Minister of Finance of the Republic of Poland, cabinets of PM Donald Tusk and PM Ewa Kopacz (Nov. 2013 – Nov. 2015). Responsible for fiscal policy, budget, public debt management, international credit and payment cooperation, taxes, financial institutions’ regulation, tax and customs administration (60 thousand people). Chaired Financial Stability Committee, represented Poland in the Ecofin, the IMF, EIB and AIIB. Oversaw restructuring of the ministry’s departments aiming at better evaluation of public spending, internal silo elimination and streamlining strategic planning, including medium-term spending rule introduction. Instrumental in introducing client-centred changes of the tax and customs administration and well as changes to the tax code helped Poland to climb 62 places in World Bank’s Paying Taxes ranking in the period. Involved in high-level policy debate on reinvigorating growth in the EU, proposing investment plan for Europe as a way to counter demand deficiency. Named CEE Minister of Finance of the Year 2014 by Euromoney and Europe’s Finance Minister of the Year 2015 by The Banker magazine. Co-chaired the finance ministers’ EPP group. Polish representative in the Business and Industry Advisory Committee to the OECD(Jan. 2011 – Nov. 2013). Sitting in the BIAC economic policy and taxation policy group. Chief Economist Central and Eastern Europe (Jan. 2011 – Nov. 2013) Overseeing economic and financial markets research of ING Bank in the CEE region. 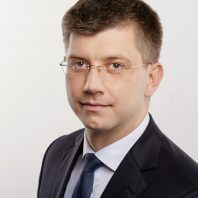 Chief economist ING Bank Śląski (Jan. 1997 – Jan. 2011). Responsible for economic and financial markets research. Member of the bank’s asset and liability management and investment committees. Kamil Szymanski is a manager with international experience. 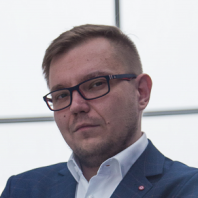 Currently the CEO of the Exhibition and Congress Hall of the Subcarpathian Region, he previously held the position of proxy and director of business development at Arena Gdansk Operator Sp. Z o.o. – a company that administers the Energa Stadium in Gdansk. 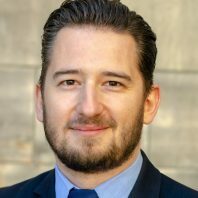 He graduated with a law degree from the Universtiy of Gdansk, a member and active member of ELSA, recipient of a scholarship from the Cirius programme of the Danish government. He had traineeships at the Innsbruck University and the Constitutional Tribunal in Poland. He was the Vice-president of ELSA Poland and ELSA International on behalf of which he coordinated projects in more than 40 countries. He was also responsible for institutional contacts with the Council of Europe, UNESCO, UN ECOSOC, UNICTAL, WIPO, INTA, HRC. In recent years member of the supervisory board, lawyer, IRO, manager at knowledge providers, MM Conferences S.A., co-organizer of the 60 Million Congress. Vice President of the Management Board of Orbis S.A.
Ireneusz Weglowski has been Vice President of the Management Board of Orbis S.A. since 1991. He has been incessantly involved in the hospitality business, particularly in the management of hotel portfolio. He participated in the company’s restructuring aimed at concentration on the core hotel business. He is an experienced hotel practitioner in operations, investments and disposals. He successfully handled numerous sales of non- strategic properties of the company. Graduate of Warsaw School of Economics, he has participated in the international Professional Development Program at the School of Hotel Administration at Cornell University in Ithaca, United States. He is also a President of the Chamber of Commerce of the Polish Hotel Industry – an association that represents a hospitality sector on local, national and EU levels. The CCPHI is a member of HOTREC, an Umbrella Association of Hotels, Restaurants and Cafes in Europe. Responsible for support offer for SMEs (Center for Entrepreneurship Smolna and Centre for Creativity Targowa), international promotion of the Warsaw’s economic potential (EXPO REAL and MIPIM – Real Estate Trade Fairs), the program of internationalisation for SMEs (Grow with Greater Warsaw) and supervising the Warsaw Tourist Office. in Warsaw with specialisation in Capital Investments. He is a graduate of the Executive Training Programme (European Commission scholarship) of SDA Bocconi School of Management in Milan, the School of Oriental and African Studies University of London, SCIENCES PO Paris and Waseda University Tokyo Japan. Immediately after the studies he started working as a financial specialist in POL-MOT Holding S.A., after one year he became the Executive Director and then also the member of the Management Board of Ital-Mot belonging to POL-MOT Group. In years 2008-2009 he was the Economic and Financial Director of POL-MOT Warfama, a company producing agricultural machinery, and in 2009 he became its Vice President. Since 2009 he has been the member of the Supervisory Board of Bioenergia Invest, which installs in Poland biomass production lines ensuring long sales contract for the biomass producers. In 2013 he became the President of Management Board of URSUS S.A. and he has been managing the company up till today. The biggest professional success of Karol Zarajczyk was restoring the famous Polish brand URSUS and creating a dynamically developing company producing not only tractors but also agricultural machines and currently also electric buses and trolleybuses. The restoration of the symbol of Polish industry was a great challenge and the operation of restoring the legend was successful thanks to his determination. Karol Zarajczyk as an effective manager has been awarded a lot of prizes for managing his company for the last years. In 2015 he received PAIiIZ award for foreign expansion, the title of the Ambassador of Polish Economy of Business Centre Club, Lubelski Orzeł Biznesu 2016 and the title of the Top Employer of Eastern Poland 2015 awarded by Polskie Towarzystwo Wspierania Przedsiębiorczości.